Some decades ago, when evangelicals were much in the news, a friend remarked that he wished to resign his evangelical membership but he did not know where to send the letter. The comment points to one of the movement’s major characteristics. There is no headquarters or single standard-bearing agency to which to refer to see if one is being truly evangelical. In the case of Fuller, there is no single larger evangelical submovement or denomination of which it is a part that would provide a normative reference point as to whether it is retaining its proper identity. In fact, world evangelicalism is made up of countless subgroups. Fuller interacts in various ways with a wonderful variety of these. Yet it seems a mystery as to what in this dynamic and ever-changing environment provides the basis for defining and maintaining any particular evangelical identity. What we call evangelicalism emerged in Western Europe and Great Britain in the 1700s as a number of renewal movements within Protestantism. From the beginning, the movement was decentralized and diverse but also interrelated. Common evangelistic and mission concerns led groups to borrow from each other revival techniques and ways of cultivating vital piety. These renewal movements were fashioned by innovative leaders such as Count Zinzendorf, John Wesley, or George Whitefield, and a host of imitators or followers. Many of them developed new agencies that went beyond the bounds of the older denominations. One way to understand this movement is that it was an expression of modern spiritual free enterprise. Arising around the same time as the new market economy, it encouraged innovators to adopt new techniques for promoting the gospel. Such traits continue to be leading characteristics of the movement. Enterprising leaders, when they perceive a need or an opportunity, found new institutions with no need to consult ecclesiastical bureaucracies. These institutions and their leaders thrive on competition with each other, sometimes in friendly competition among allies, other times in sharp rivalries that accentuate differences. Such institutions are to some degree dependent on the constituencies whom they cultivate. The institutions provide leadership and guidance for such communities, but community opinion can also act as a constraint on what is to be taught and tolerated. As Mark Noll points out in The New Shape of World Christianity, since these traits of evangelicalism first developed when modern economies were emerging in the Western world, they have proved effective more recently in the Global South where there is similar social mobility and breakdown of traditional cultures. What gives this bewilderingly complex movement any coherence whatsoever? What keeps it from blowing apart into thousands of fragments moving further from each other as each develops peculiar teachings and practices? I have Roman Catholic colleagues from Notre Dame who are fond of arguing that such is the inevitable fate of Protestantism. By claiming to rely on “the Bible alone,” Protestantism opens the door for an impossible number of competing interpretations of what the Bible teaches and hence for ecclesiastical anarchy and countless heresies. There is a plausible case for such accusations, and it is sometimes disheartening to contemplate the popularity of various heretical teachings among those who might identify as evangelical. A more remarkable historical phenomenon is that the movement is as coherent as it is. The centrifugal forces that seem to be inevitable consequences of decentralization, competitive free enterprise, populist demagoguery, and encouragement of personal readings of Scripture seem to be countered by centripetal forces that allow the core gospel message to survive. Today, all over the world, one can hear a biblicist and conversionist message centered on the atoning work of Christ for sinners and urging a life of discipline, service, and witness as a response. This core message is, remarkably, one that George Whitefield would recognize. It may be packaged with other extra-Christian, sub-Christian, and/or heretical messages (such as the prosperity gospel), but in the long run the core seems to survive better than the eccentricities. One may attribute that to the work of the Holy Spirit. Additionally it can be seen as related to the transcultural luminosity and appeal of the basic gospel message. Practically speaking, the free spiritual market provides one of the centripetal forces. What works in one place is borrowed and used everywhere, as seen in styles of music or prayer. Among the things that work is the core gospel message. Furthermore, despite evident dangers of private interpretations of Scripture, the Bible and what it actually says can act as a constraint giving the core evangelical message an advantage over many eccentricities. Another component in fostering this degree of coherence is tradition, something evangelicals do not often talk much about. The modern biblicist outlook is often avowedly ahistorical and primitivist. People are often taught as though they can skip over the many centuries of church history and tradition and get back simply to the practices of the New Testament church. Yet all such movements themselves depend upon traditions of interpretation, even if sometimes traditions of recent origin. And evangelicalism more broadly, the movement descended from George Whitefield and the like, also depends on traditions of interpretation that help preserve the core gospel message. Not only is the larger movement based on “the Bible alone,” it is also based on a functioning canon of the Bible and its interpretation. The best example of this dependence on tradition is that the vast majority of evangelicals are Trinitarians and teach in conformity with the doctrines of the Incarnation formulated by the early church councils. These are doctrines that one would not expect to be so dominant if evangelicals depended simply on countless private interpretations of Scripture. So tradition or history is essential to understanding evangelicalism, which means that if we are going to understand Fuller Seminary’s relationship to the movement as a whole, it is important to understand its history or the particular subtraditions to which it has been related. Initially these subtraditions that have helped define Fuller were predominantly American, and several of these are especially important for appreciating Fuller’s location within the movement. First, Fuller at its founding in 1947 was substantially shaped by the historical memory that until the late nineteenth century, a time many could still recall, evangelicalism had been the most influential religious force in the culture. Beginning with the Great Awakening of the mid-1700s, revivalism had become the most characteristic driving force in American religious life. After the formation of the new republic, evangelical denominations grew faster than any others, and almost all of the existing denominations came to be identified as evangelical. These mainline denominations were part of the Evangelical Alliance, established in 1846 as a loose British and American coalition of churches active in promoting evangelism, missions, and social or moral reforms—such as anti-slavery or the temperance movement. These denominations provided most of the nation’s educational leadership. For instance, in 1847 (just one century prior to the founding of Fuller) the majority of college presidents were evangelical Protestants and the nation’s leading seminaries were evangelical. Fuller’s founding president Harold J. Ockenga was deeply shaped by a desire to rebuild that evangelical influence. As he and the other founders saw it, evangelical tradition had been ruined by the rise of modernist or liberal theologies that took over America’s mainline churches and seminaries. Ockenga had been reared a Methodist, had attended Princeton Theological Seminary, and left with J. Gresham Machen to graduate from Westminster Theological Seminary. Ockenga became a mainline Presbyterian who was acutely sensitive to the need to combat modernism. Yet he resisted the separatism of many of his fellow anti-modernists and rather wanted to rebuild evangelicalism within the American mainstream, including the major denominations to the extent that was possible. Part of his strategy, which ultimately proved successful, was to reclaim the word evangelical. In 1942 he founded the National Association of Evangelicals as a major step in the rebuilding process. At the time, that movement was made up of evangelistically oriented anti-modernists who typically called themselves “fundamentalists.” During the 1940s Ockenga promoted the term “new evangelicals” for the movement associated with Fuller, and by the end of the 1950s, thanks in part to the successes of Billy Graham, evangelical became the standard term for the nonseparatist wing of the movement. “Give the [Bible] a chance to speak for itself and to make its own impression; to bear its own testimony. As Johnny Cash is credited with saying: ‘the Bible sure does throw a lot of light on the commentaries.’ Let the spirit of God Himself teach you. We all have a right to read it for ourselves. + from Henrietta C. Mears’ book What the Bible Is All About. 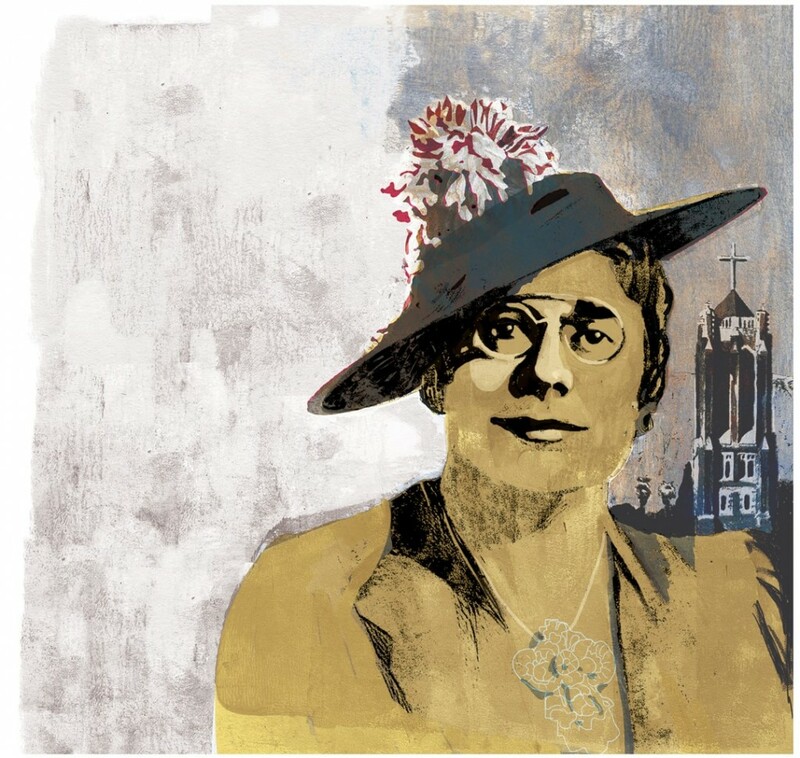 Mears, one of the most influential Christian leaders of the twentieth century, is known for the development of Christian education at Hollywood Presbyterian Church and started Gospel Light Press to publish her widely used educational materials. She was the founder of the Christian conference center Forest Home, and, through her life and ministry, had a profound influence on Bill Bright (Campus Crusade), Jim Rayburn (Young Life), and the founders of Fuller Theological Seminary, including Charles E. Fuller and Harold Ockenga. One of the dimensions of the mainstream American cultural heritage that Ockenga hoped to restore was its intellectual, theological, and educational strength. No aspect of the movement had declined more drastically in the past two generations. Most leading colleges and universities had become largely secular, and theological liberals and modernists had taken over formerly evangelical seminaries. When Ockenga spoke about “The Challenge to the Christian Culture in the West,” in his 1947 convocation address for the opening of the seminary, it was this intellectual rebuilding that he saw as the school’s primary role in the recovery of a degree of cultural leadership and influence. Ockenga had been hosting “scholars’ conferences” in New England for several years, but there were precious few well-credentialed evangelical scholars. Most of those few were of Reformed theological heritage, and it was from that number that Ockenga recruited the early faculty. Charles Fuller, the other principal founder, represented another major strand in the American evangelical heritage, that of enterprising popular evangelism. Fuller stood directly in the traditions of Whitefield, Charles Finney, Dwight L. Moody, and Billy Sunday. Although he was an ordained Baptist minister, he was essentially an independent entrepreneur. Despite their populist style on the Old Fashioned Revival Hour, both Charles Fuller and his wife, Grace, were college educated and had respect for learning. Left to himself, however, Charles would likely have founded a Bible institute, following the model of Moody Bible Institute or of Biola. Their only child, Daniel Fuller, was, however, born to be a scholar and helped push the family toward founding a major seminary. The seminary, however, would never lose sight that it belonged to a constituency with a primary focus on evangelism and missions, on saving souls and making disciples at home and abroad. The spectacular rise of Billy Graham beginning with his Los Angeles crusade in 1949 and his association with the seminary as well as with the larger international evangelical movement helped keep these concerns in the forefront. The seminary’s ongoing connections with popular evangelism also helped keep it from being sectarian. Its early creedal statement, even if broadly Reformed, was minimal and the school was always open to varieties of evangelical perspectives and connected to a wide range of gospel-oriented groups. People from all sorts of church backgrounds supported the Old Fashioned Revival Hour. Similarly, as Billy Graham became the face of the movement in the 1950s, common admiration for him and his message provided one of the points of unity among peoples from a vast number of affiliations in the United States and around the world. Fuller reflected that same intra-evangelical spirit. So even if its teachings were defined largely by Reformed traditions, the school was also informed by pietist and holiness heritages. These more experientially oriented traditions would prepare it, for instance, to be open to aspects of the later charismatic renewal movements. Yet it is important to note that these “new evangelical” reformers of fundamentalism were also indelibly shaped by the recent history of the fundamentalist controversies of the preceding decades, particularly in their firm opposition to theological liberalism. While they wanted to hone down some of the rough edges of their heritage, such as Dispensationalism, their early creed committed them to premillennialism and to the “inerrancy” of Scripture. Even after 1962 when “inerrancy” was rejected as not the best formulation regarding the character of Scripture, there was no wavering on the commitment to the Bible’s authority in whatever it taught. Furthermore, Scripture was still to be interpreted within the framework of the evangelical heritage. The spirit of the school as it came to be defined under David Hubbard was that of open evangelicalism, committed to staying within the boundaries of what was essential to the biblicist, conversionist, broadly Augustinian faith, but also dedicated to distinguishing those commitments clearly from what were matters of acceptable difference. As an educational institution in a movement with many populist dimensions, one of the roles of the seminary has been to help to lead its constituent communities in making such distinctions. In that way Fuller has remained unmistakably evangelical, but also more open than are some other evangelicals who have moved less far from the old fundamentalist heritage of defensiveness. Such open evangelicalism has been defined by a peculiar combination of historical traditions that set Fuller on its course. I have here suggested some of the most formative of those traditions, but these were also interwoven with many other historical strands that might be mentioned as well. By the Hubbard years Fuller had developed a distinctive identity and traditions of its own. These, in turn, have interacted in more recent decades with numerous other evangelical movements and tendencies, but basic patterns shaped in the earlier decades seem still to be in place. Fuller’s particular pattern of evangelicalism has appealed to constituencies from all over the world and from many American ethnic subcommunities, making Fuller one of the most genuinely diverse schools in the country. Unlike the artificial diversities that are cultivated in American public life, a common core of commitment to shared belief marks this diversity. True to the free enterprise nature of evangelicalism in which there is a constant interchange and interdependency of leadership and constituents, Fuller’s continuing wide appeal depends on staying close to its historical heritage. That means that it especially needs to keep its commitments to that core biblicist and conversionist message that gives world evangelicalism a degree of coherence. At the same time that Fuller is to a degree dependent on its constituents, it also has a leadership role to play in using its unique resources to help hone the traditions of the bewilderingly diverse set of evangelical movements and submovements with which it interacts. 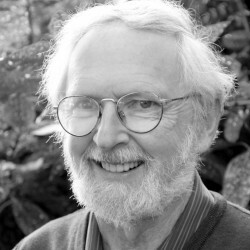 George M. Marsden has taught history at Calvin College, Duke University Divinity School, and the University of Notre Dame, where he is now professor emeritus.